Capable of supplying clean energy to more than 45,000 households, it will prevent the emission of 175.000 tons of CO2 into the atmosphere every year. 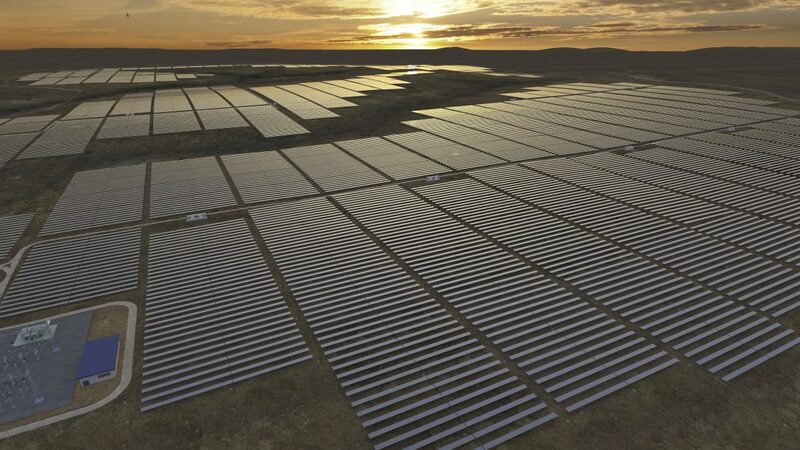 October 4th 2017 | A joint venture between GRANSOLAR (GRS) and ACCIONA, led by GRS, is set to construct one of Australia’s largest photovoltaic plants. The Lilyvale Solar Farm will have a capacity of 100 MWac, and the project will be carried out as a turnkey or EPC (Engineering, Procurement and Construction) contract for global solar developer Fotowatio Renewable Ventures (FRV). The works have already begun and the project should be completed by the end of 2018. Cameron Garnsworthy, Managing Director of FRV Australia, highlighted the importance that the project has for the generation of clean energy in the country. “Lilyvale Solar Farm – along with FRV’s other large-scale solar developments installed or under construction, will contribute around 280 MWac of clean energy capacity and brings the total value of FRV’s solar investments in the Australian renewable energy sector to around A$ 700 million (US$ 550 million)”. “We are proud to be working with Australian companies and authorities to drive forward a competitive renewable sector”, he added. “GRANSOLAR GRS continues to expand internationally, launching its first project in Australia having developed and constructed plants in Europe, America, Africa and the Middle East. Australia marks an important qualitative step, because it’s a very important market for us with major investment expected in photovoltaic solar energy in the coming years”, explained Domingo Vegas, Chairman of GRANSOLAR. “ACCIONA has a significant presence in Australia, and this project represents another step in our commitment to developing sustainable and innovative infrastructure in the country. As part of this strategy, at the start of this year ACCIONA acquired Geotech Group, which is also working on Lilyvale through its John Beever Australia business.” said Ramón Jiménez, Managing Director of ACCIONA Industrial. ACCIONA and Gransolar (GRS) have extensive international experience constructing large-scale photovoltaic plants, both proprietary and for third-party clients. Recently awarded projects include construction of the Mohammed bin Rashid Al Maktoum Solar Park (Phase III) in Dubai in a consortium with Gransolar and Ghella, which will be the world’s largest photovoltaic plant once completed with a peak capacity of 1,054 MW. Two companies integrated in the GRANSOLAR holding will participate in the project. ISE will be in charge of engineering and is already working on the field. PVH, our BOS company, will be responsible for providing the trackers that will optimize the performance of the PV plant.